It’s 2004, and every patient in a particular medical trial has an early-stage form of lung cancer that’s medically inoperable. It isn’t a death sentence but it’s close. Three-year survival rates hover between 20 and 35 percent, and the rate of keeping the primary tumor from spreading elsewhere isn’t much better. That’s until Dr. Robert Timmerman puts them on a new treatment plan. Back then, radiation was something like the Great Flood — spilling a high dose in all directions. Doctors made sure the radiation reached the tumors, but it often wound up touching places not at risk. Damaging healthy tissue was an inescapable part of getting through to the cancer. It’s what you went through for the chance to save your life. Depending on the stage and aggression of the cancer, patients would typically spend many weeks undergoing daily radiation. This required low doses repeated day after day to avoid the treatment’s harmful side effects to the parts of the body to which cancer hadn’t spread. But there was another way. Doctors were using newer technology to direct a highly concentrated blast of radiation to destroy tumors in the brain — the body’s most sensitive organ, and one that can’t afford to be harmed. Doctors used the treatment, called stereotactic radiosurgery, when they absolutely needed to hit their target with little tolerance for error — and it worked. But initially, the treatment could only be used on the brain because brain tumors don’t move if the skull is stabilized, whereas tumors outside the brain move considerably with normal processes like breathing, so they couldn’t be targeted as directly. 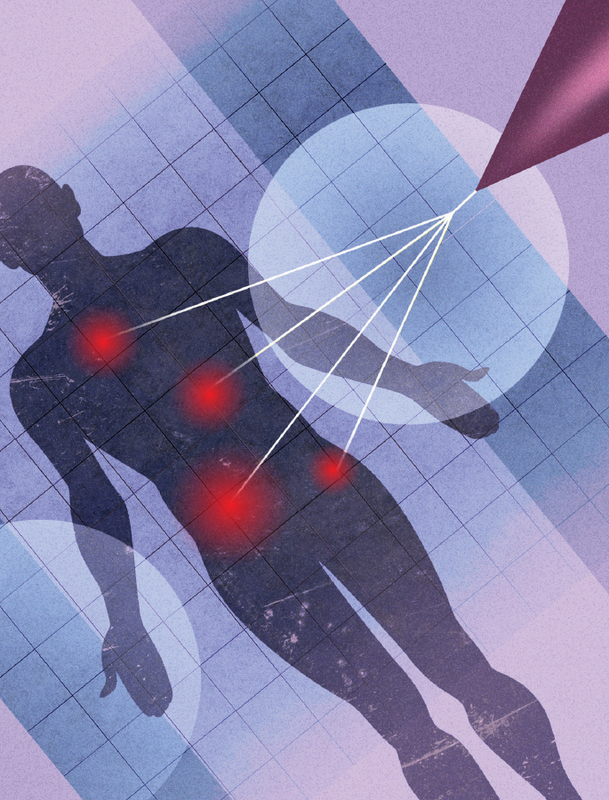 In the late 1990s, new technologies changed that, introducing the possibility that tumors in other areas of the body could be targeted. Technology had caught up, but few doctors had. Early studies in the mid-1990s in the U.S., Japan, and Europe indicated that there wasn’t a lot of control in the way the radiation was delivered. But the results were still encouraging enough to pique the interest of American radiation oncologists — including Timmerman, a Professor of Radiation Oncology and Neurosurgery at the University of Texas Southwestern Medical Center, who couldn’t help but see the potential. Timmerman’s team called their new treatment stereotactic body radiation therapy, or SBRT. If SBRT could be applied to other cancers, they realized, radiation could be performed more directly to the tumor, with fewer side effects, fewer treatments, lower costs, and better accuracy. Timmerman and his team began treating patients with SBRT in the late 1990s. With encouraging results, they developed the 2004 trial, enrolling patients across the nation. Three-year survival rates more than doubled to almost 56 percent. Control rates shot through the roof to almost 95 percent. They realized, radiation could be performed more directly to the tumor, with fewer side effects, fewer treatments, lower costs, and better accuracy. 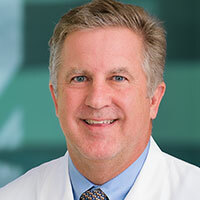 Since then, Timmerman — along with talented colleagues like Dr. Hak Choy, the Chair of Radiation Oncology at UT Southwestern — has used SBRT technology to wage war against a variety of lethal cancers including prostate and kidney cancer. Results in nearly every site were impressive. After a five-year study of 91 patients with low- to intermediate-risk prostate cancer, success at controlling the cancer was 98 percent. It’s not just that control rates are improving. SBRT is one of the most efficient and cost-effective cancer treatments to date: What used to take between 35 and 45 treatments, applied five days a week over a period of several months, has shrunk to five or fewer total treatments. Imagine the implications for out-of-town patients who may not have access to such technology where they live, but could now travel for a handful of treatments instead of putting their lives on hold for months at a time. This is what spurs on Timmerman, Choy, and their colleagues at the state-of-the-art radiation oncology building on the east side of the UT Southwestern campus. There, physicians, physicists, and software engineers collaborate to produce remarkable results, aided by some of the best machinery in the scientific world: the first Gamma Knife Icon in Texas, the most advanced CyberKnife robotic radiosurgery system available, the second GammaPod breast cancer platform in the nation, and, now, the six most modern linear accelerators — the machines that deliver the highly concentrated radiation beams that Timmerman specializes in.